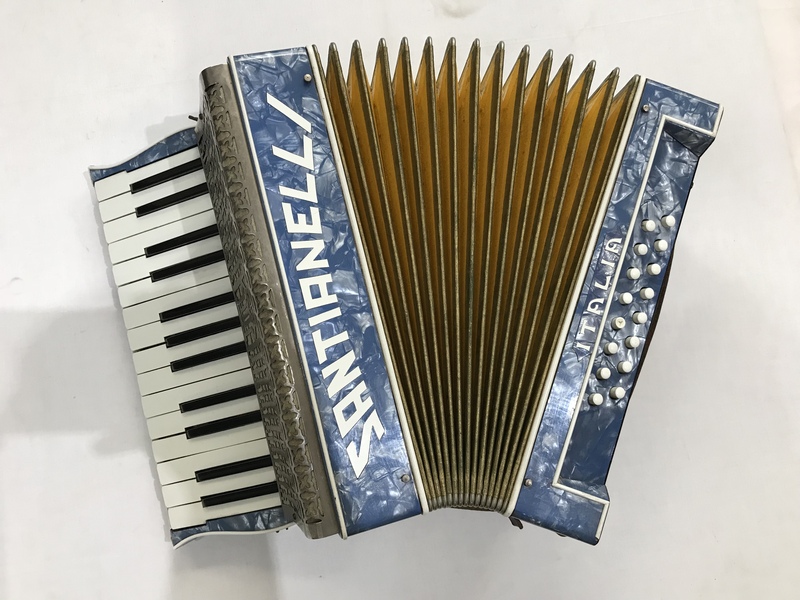 A pre-owned Santianelli 16 Bass Accordion – Spares or Repair. 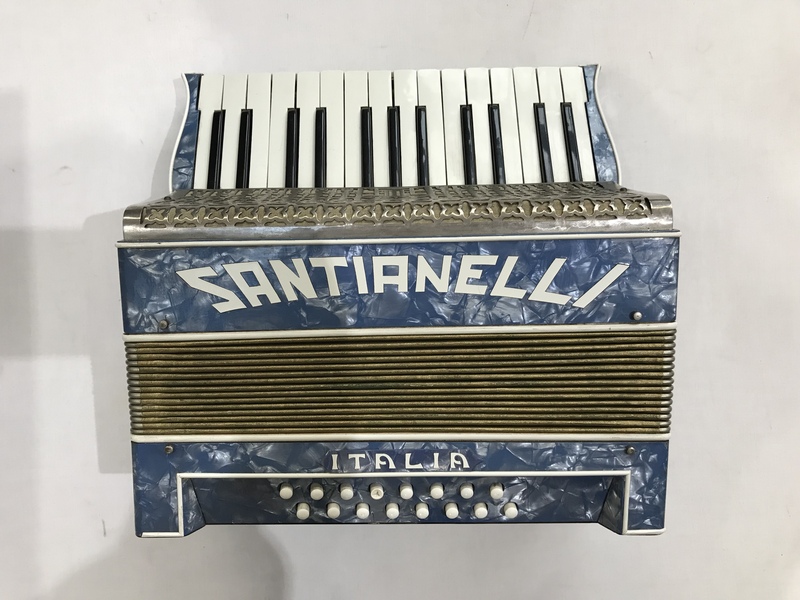 This vintage pre-war instrument was built in the Italian town of Castalfidardo, most likely during the late 1930’s or early 1920’s. 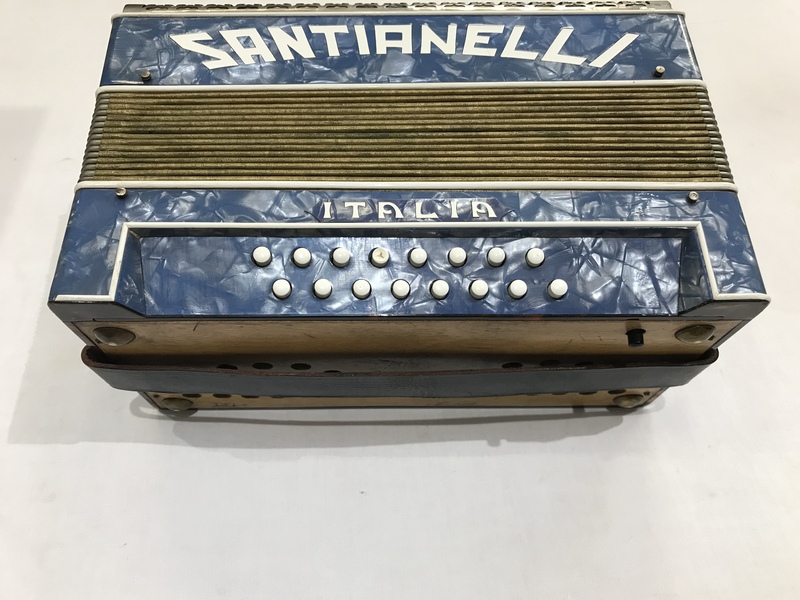 Unfortunately, this accordion does have a few internal issues, and sadly our workshops are simply too busy at present to be able to carry out the work required on this instrument to get it back to it’s former glory. This accordion would be ideal for someone who is looking for a vintage instrument to work on or refurbish at home, or simply as an attractive and different looking decoration to place on a shelf at home or in an Italian restaurant etc! Due to these issues we cannot offer any guarantee or delivery options. 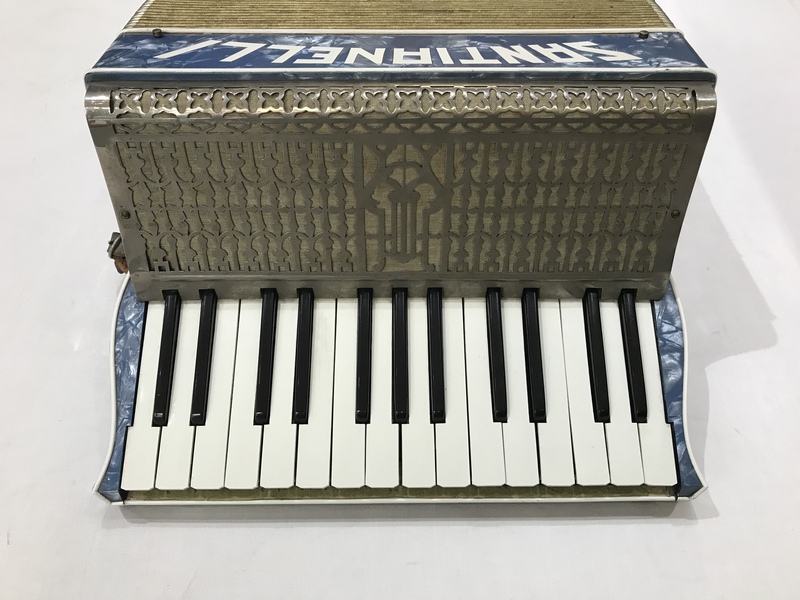 This accordion is sold as seen and collection must be in person.